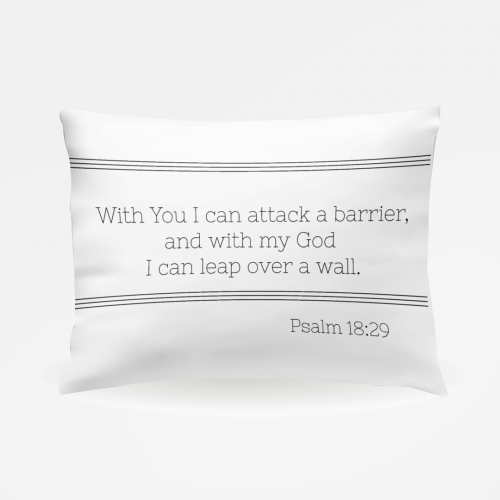 Scripture pillowcases are functional, intentional, and inspirational. They are the perfect reminder of the One who never leaves us. Makes a beautiful gift for the one who needs encouragement or the one celebrating a new home, child, or marriage. May we rest on the very Word of God, turning our attention and affection to Him, the Alpha and Omega, with the first and last of our day. May we rest on the very Word of God, turning our attention and affection to Him, the Alpha and Omega, with the first and last of our day. -It’s prettier and longer lasting than post it notes with scripture on the headboard and nightstands. -It reminds us to remember God. -It aids in scripture memory. 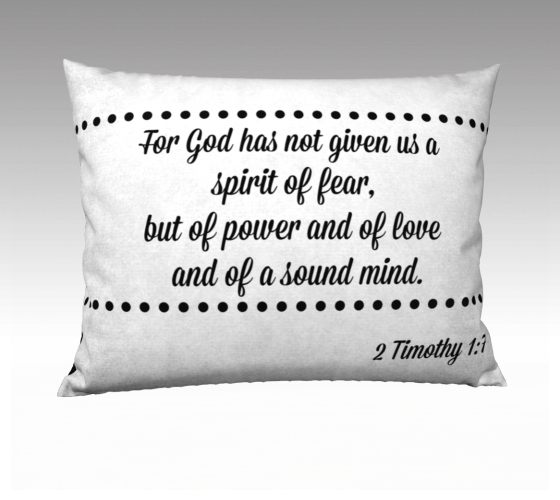 -It helps us overcome fear as we place our focus on His Word. -Because we face a long day of the world wearing us down. We need constant encouragement from God’s Word. -It’s a fringe spot in the home to claim for intentional spiritual training grounds. -Because scripture centers and transforms us. The more places we have it, the better off we are. Pillowcases are for actual sleeping pillows and are not decorative pillow covers. When my youngest son was a little guy, we often found him asleep with his head on his Bible or the Bible laid over his chest or wrapped in his arms. It was as if he knew how desperately he needed the Word of God near him always. My scripture pillowcases were born out of a desire to give my son something a little softer for his head while reminding him of the nearness of God. I also found myself praying key verses to help them rest into sleep. So I’d post sticky notes on their beds, nightstands, and doors. 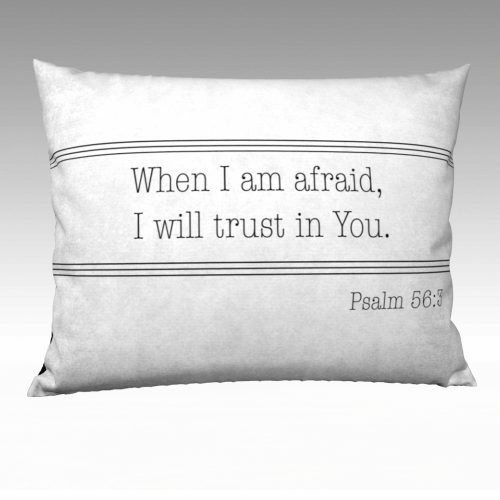 I created a scripture pillowcase for one of my sons when he faced a particularly challenging season. That pillow became a prized possession of his. 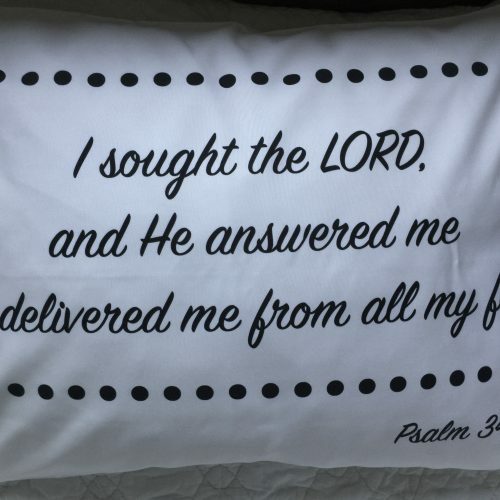 These scripture pillows are now a staple in our home and a reminder of the One who holds us and protects every minute of our day, even while we sleep. 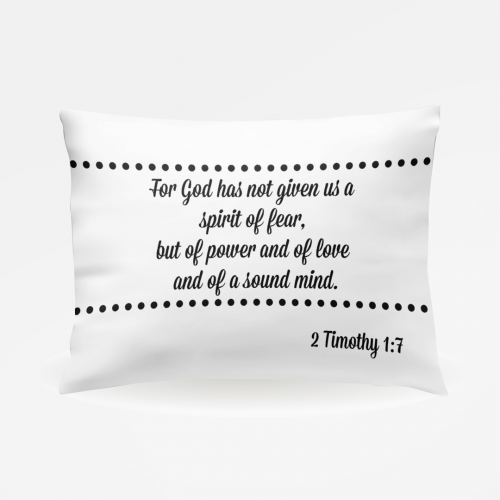 Makes a wonderful gift for anyone needing a little encouragement! Please allow 7-10 days for production and shipping.